Cadem Law Group is experienced and knowledgeable in a broad range of commercial and business law matters. 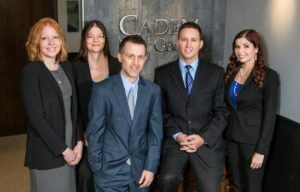 Over the years, attorney Christopher J. Cadem has helped numerous small and large businesses handle matters ranging from business formation and corporate compliance to establishing a subsidiary company for a multimillion dollar corporation seeking to maintain 501(c)(3) status by reducing capitalization. Contact our office online or call 218-739-HELP (4357) to schedule a free consultation to discuss how Cadem Law Group can assist you with your legal needs. Key Practice Topics: Incorporate; LLC; Business Formation; Partnerships; Contracts; Mergers; Employee Benefits; ERISA; 501(c)(3); 501(c)(4); Non-profit; Corporate Formalities; Registration; Foreign Corporation; Assumed Names; Corporate Minutes; Insurance; UCC Filings and Compliance; Mechanics Liens; Banking Disputes; Capitalization; Employer ID Number; State Tax ID; Stocks; Member Control Agreement; Bylaws; Articles of Incorporation; Articles of Organization; Operating Agreement; Buy/Sell Agreement.